Powerful forces collide in this explosive conclusion to the middle-grade dystopian Psi Chronicles trilogy. Four months ago, Taemon was able to stave off an invasion by the Republik Army by using tricks to convince his enemies that the people of Deliverance still had the telekinetic ability known as psi. Now, though, the truth of his deception has come to light, and the Republik is preprared to mount another attack, led by General Sarin and his son, Gevri. Once an ally, Gevri is fuming over Taemon's perceived betrayal. Now that his father has put him in charge of a special archon unit, Gevri is ready to exact revenge on his foe - and, with Deliverance securely in the control of the Republik, to end the centuries-long war between the Republik and the Nau nation. Can Taemon - the supposed True Son and savior of Deliverance - find a way to save his people one last time? 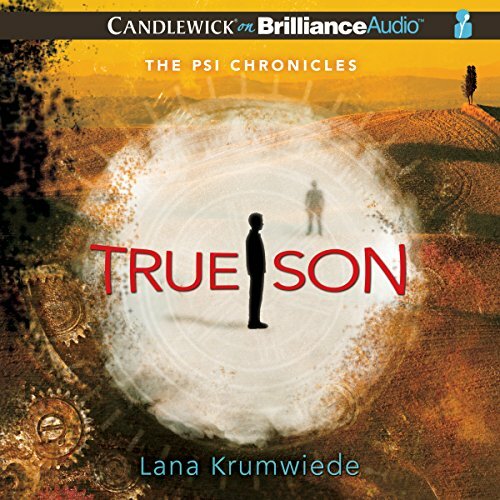 ©2015 Lana Krumwiede, original book published by Candlewick Press (P)2015 Brilliance Audio, all rights reserved.